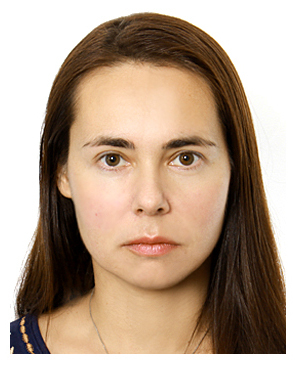 Dr Stepanova heads Peace and Conflict Studies Unit and is a lead researcher at National Research Institute of the World Economy & International Relations (IMEMO), Moscow, and a Russian Academy of Sciences (RAS) Professor. Her research and publications focus on insurgencies and terrorism, armed conflicts and peace-building, extremist ideologies, radicalization, violent networks, human security, and political economy of conflicts. Her several books include Terrorism in Asymmetrical Conflict: Ideological and Structural Aspects (Oxford University Press, 2008). Her edited volumes include Humanitarian Challenges, Humanitarian Support and Human Protection in Armed Conflicts (IMEMO, 2018), Addressing Terrorism, Violent Extremism and Radicalization: Perspectives from Russia and the United States (IMEMO, 2017) and Terrorism: Patterns of Internationalization (Sage, 2009). She is also the author of over 200 other publications in ten languages. She serves on editorial boards of journals Terrorism and Political Violence, Global Responsibility to Protect and Global Governance and edits the journal Pathways to Peace and Security. Prof. Stepanova teaches in English at the International Programs at MGIMO-University (Moscow), School of Public Policy, Russian Academy of National Economy & Public Administration (RANEPA), and European University in Saint-Petersburg (EUSP). She serves as an expert at the Global Peace Index methodology panel and the IMEMO contact point for the UN Counterterrorism Committee Executive Directorate's Global Research Network. She is a member of the Global Initiative against Transnational Organized Crime, the Joint U.S.-Russia Expert Group on Afghanistan etc. 19952000 Coordinator/researcher, Carnegie Endowment for International Peace, Moscow.